The Almanac collection features arabic numerals with a chronograph function covered with a beautiful domed glass crafted with precision for a sophisticated and elegant result. 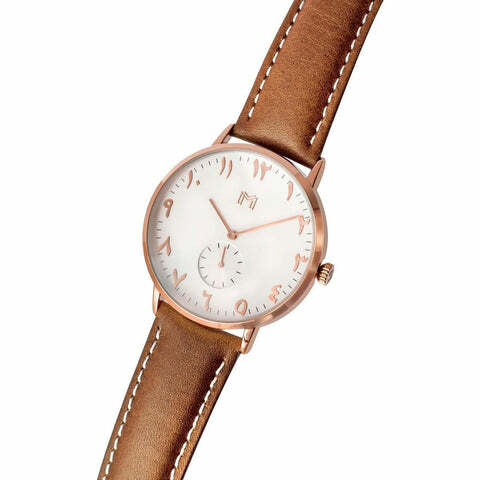 Eggshell white and silver are combined with top grain genuine leather strap, detailed with a rose gold clasp. The strap can be easily interchanged, allowing you to personalise your watch. Almanac watches feature a quick-release clasp that allows you to easily swap out your strap at home…no tools required. Our Almanac watches feature a bold 40mm diameter case size. Case depth is approx 12MM. 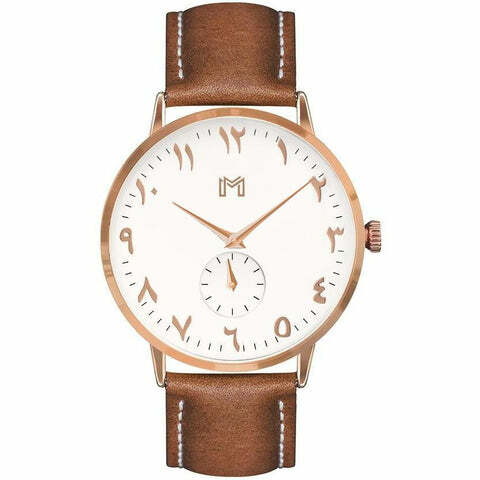 This watch style is big & bold, sits tall on the wrist & is a great modern statement piece.